While the show is free, a limited number of VIP tickets will be available for purchase and will include prime, side-line viewing with access to a complimentary bar and food, private restrooms and a souvenir lanyard. VIP Tickets are sold out! For the general public, beer, wine and food will be available for purchase inside the grounds with cash only! 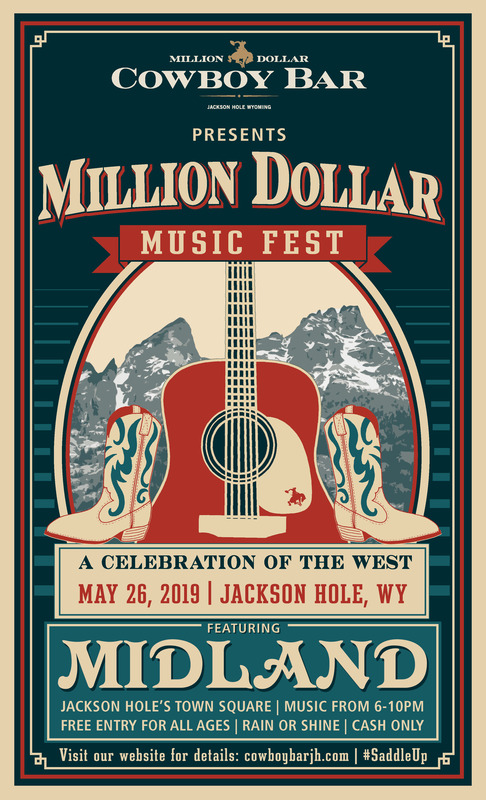 10pm- The official after-party at Million Dollar Cowboy Bar with The Darci Carlson Band. Gates open at 5pm, show starts at 6pm. The Wort Hotel, just steps from the Town Square, is excited to have created the ultimate hotel package for you! Click here to book the Wort Hotel's Million Dollar Music Fest Package.